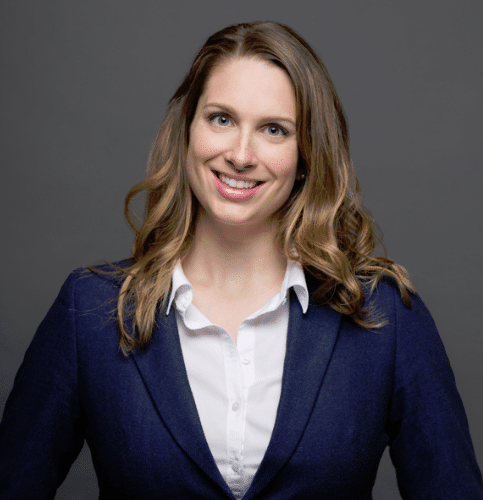 Ms. Elise Beauchesne, CPA, CA, Adm.A is one of the founding partners of SolutionCondo and contributed substantially to the implementation of the organizational structure which enabled the fast growth of the company while maintain an enviable reputation in the market. Ms. Beauchesne is also actively involved in many syndicates of co-ownership management mandates where she must interact with the members of the Board, the co-owners as well as legal and other advisers, if need be. 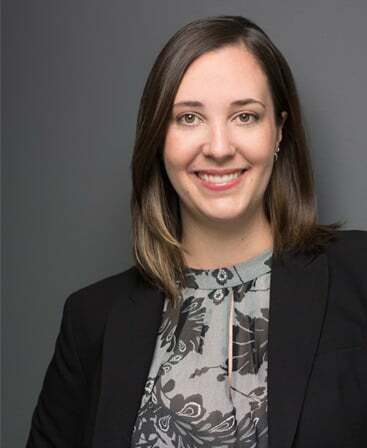 Ms. Beauchesne is member of the regional Board of Directors of the Montreal and Provincial Board of Directors of the Regroupement de gestionnaires de copropriété du Québec (RGCQ) since 2009. She notably participated in the development of a thesis for the Chambre des notaires work committee to denote the improvements to be brought to the Civil Code of Quebec regarding co-ownerships. She is also involved on many projects to improve practices in the field of co-ownership in Quebec. Ms. Beauchesne has also been named a finalist for the 2014 Ernst & Young Entrepreneur of the Year Grand Price in Quebec and she is one of the 8 essentials in real estate according to the magazine « Premières en affaires ». Mr. Eric Deslauriers is one of the founding partners of SolutionCondo and acts as the Vice President responsible for business development for SolutionCondo.com since 2013. Mr. Deslauriers is actively involved in the development of the Canadian and international markets served by the SolutionCondo.com web software. Mr. Deslauriers was, until 2013, Senior Director in Organizational and Financial Services at Demers Beaulne s.e.n.c.r.l., a prominent Montreal accounting firm, Member of the BHD and IAPA networks. Since 1999, he has worked as a specialist in litigation analysis, forensic accounting and business valuation. 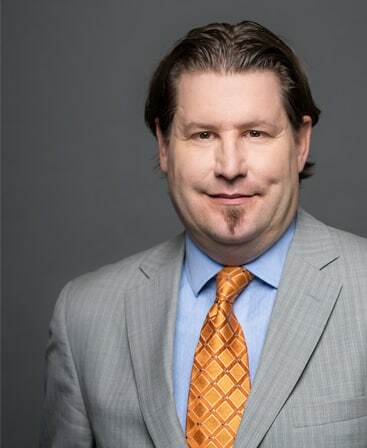 Mr. Eric Deslauriers is one of the founding partners of SolutionCondo and acts as the Vice President responsible for the business development SolutionCondo.com since 2013. Mr. Deslauriers is actively involved in the development of the Canadian and international markets served by the SolutionCondo.com web software. 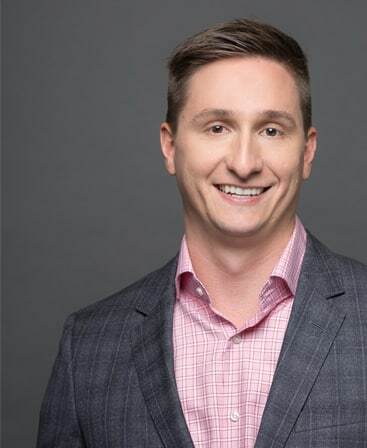 Mr. Deslauriers was, until 2013, Senior Director in the Organizational and Financial Services at Demers Beaulne s.e.n.c.r.l., a prominent Montreal accounting firm, Member of the BHD and IAPA networks. Since 1999, he has worked as a specialist in litigation analysis, forensic accounting and business valuation. As such, he participated in litigation mandates providing both expertise and counter-expertise, in the following specialties: breach of contracts, tortious acts and insurance claims. Moreover, Mr. Deslauriers carried out various financial investigations in the field of financial fraud. Finally, Mr. Deslauriers was involved in several cases of business valuation, in both litigation and transactional contexts. 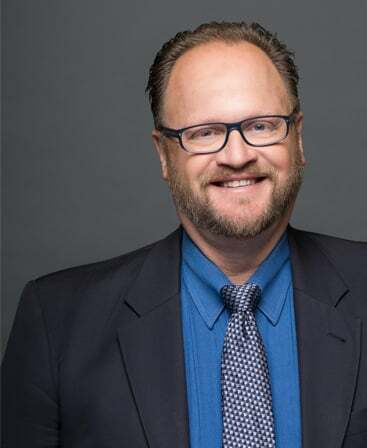 Mr. Deslauriers holds a bachelor’s degree in business management at the Université du Québec à Montréal (1999) and is a certified professional accountant (CPA, CMA) since 2001. He has also completed the University training program offered by the Canadian Institute of Chartered Business Valuators (CICBV) in collaboration with the division of continuing education at Atkinson College, York University (2005). Mr Mark Bush is a Senior Executive on an international scale, equipped with solid experience in the fields of financing, construction and corporative strategies of growth in productivity and improved financial performance. He also has many years of experience in finance, mergers and acquisitions, restructuring, audit and human resources. He has guided business towards success in the United States, Canada, Russia, Romania, China, Ukraine and many more countries. Mr Mark Bush is a Senior Executive on an international scale, equipped with solid experience in the fields of financing, construction and corporative strategies of growth in productivity and improved financial performance. He also has many years of experience in finance, mergers and acquisitions, restructuring, audit and human resources. He was able to guided businesses towards success in the United States, Canada, Russia, Romania, China, Ukraine and many more countries. Before joining SolutionCondo in 2013, Mr. Bush was CEO of a commercial real estate development and management company headquartered in Yekaterinburg, Russia. It is enriched by this experience that he joined the SolutionCondo team. Mr. Mark Bush is the equity partner responsible for the development of the English market, both locally and abroad, the disasters department and other corporate projects. Mr. Cédric Deschamps is a founding partner of SolutionCondo. Since 2007, Mr. Deschamps works as the person in charge of the architecture and the design of the web application SolutionCondo.com. He holds, since 2007, a bachelor's degree in Software Engineering from the École de Technologie Supérieure (ÉTS) of the Université de Québec à Montreal. Mr. Cédric Deschamps is a founding partner of SolutionCondo. Since 2007, Mr. Deschamps works as the person in charge of the architecture and the design of the web application SolutionCondo.com. He holds, since 2007, a bachelor’s degree in Software Engineering from the École de Technologie Supérieure (ÉTS) of the Université de Québec à Montreal. During his previous employments, Mr. Deschamps has worked in various industries (internet, energy, manufacturing) with cutting-edge internet technology, which enabled him to acquire extensive experience in programming, architecture, analysis as well as software modeling, all with the aim of improving financial and human resource effectiveness. Furthermore, he has specific insights towards data security. Through his expertise and vision, Mr. Cédric Deschamps has made SolutionCondo.com powerful tool for the management of co-ownerships here and abroad. Ms. Lucie Labrecques is a member of the "Ordre des conseillers en ressources humaines agrées" (CRHA). 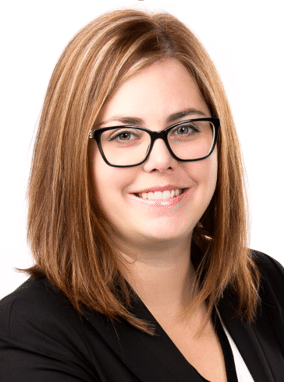 With over 8 years of experience in Human Resources, Ms. Labrecque has worked in different organizations, from SME’s to large international companies. Ms. Lucie Labrecques is a member of the “Ordre des conseillers en ressources humaines agrées” (CRHA). With over 8 years of experience in Human Resources, Ms. Labrecque has worked in different organizations, from SME’s to large international companies. She joined SolutionCondo in 2016 to take up the challenges that implies a strong growth company both at the organizational culture level and the recruitment and the development of skills level to meet the needs of the company. She stood out by setting up a career plan for our building managers to accompany them in their career path throughout their career. She also set up training for employees on human competence (soft skills) to facilitate communication and interaction between departments and collaborators. Finally, it is an asset for the company when it comes to setting up HR measures to support the management in their decisions (KPI, performance reviews, etc.). Chartered professional accountant holder of an auditor licence, member of the “Ordre des comptables professionnels agréées du Québec” (CPA, CA, auditor). She joined SolutionCondo in 2016. She is primarily responsible for corporate accounting, SolutionCondo’s customer accounting department and all aspects of quality control for customer service. Ms. Vallée began her career with the international certified public accountant firm PricewaterhouseCoopers, and this, for 4 years. Afterward, she held various positions in budget analysis, financial reporting and corporate accounting for enterprises in the field of insurance and information technology. Ms. Sara Vallée joined SolutionCondo in 2016. She is primarily responsible for corporate accounting, SolutionCondo’s customer accounting department and all aspects of quality control for customer service. To this end, she manages a team of ten employees spread across 3 departments. Ms. Vallée is a vector for change within the organization, as her role is to optimize the processes of the support departments that she manages and ensure the quality of the service rendered, both to building managers and to the ultimate customers who are co-owners and Boards of Directors. In particular, she was responsible for setting up an Avaya telephone system to better manage the incoming call flow of customers and ensure the quality of employee responses by auditing certain calls, coaching employees, the establishment of a quality grid, etc.